Switzerland tour provided by us offers 7 days package to various hot spots in Europe. Switzerland is the mountainous central European country with plenty of lakes, valleys, snow and high peaks of the Alps. 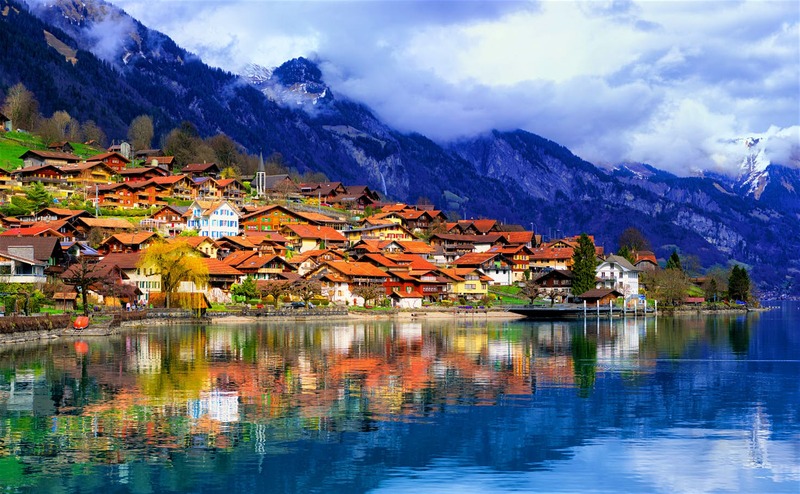 Tour to Switzerland consists of places from Serene Lakeside views of Interlaken to various peaks and historical houses of Lucerene. The city holds various landmarks like Lucerne’s wooden chapel bridge, ski resorts, Bern’s Clock tower, and plenty of famous clock and chocolate industries. Switzerland will showcase three different culture of Europe. Classic Swiss alphornes and glaciers landscapes are some of the attractions you can see during the tour. Welcome to Switzerland, after landing in Swiss you will accommodated to a well sophisticated hotel for your refreshment. Next in the afternoon enjoy the Zurich trolley tour. The Classic Trolley will discover several sights of Swiss. We will show you the important business centers along with the old museums, famous towns, Fraumunster Church along the Chagall Windows. You can also view the beauty of residential areas, hillside villas, and Alps in Swiss. Today we will head to an excursion of Gateway of Rhinefall, Europe’s largest water fall which is 150 meters wide, 23 meters high and an average of 25000 cubic feet of water falls per sec (700m3/sec). You will be dropped off on the north bank of the river Rhine where you can admire the turreted castle called Schloss Laufen on a cliff directly above the falls. The tour also takes you to the Northern Switzerland close to the German border where you will drive through Schaffhausen, the capital of the canton with its famous Mount Fortress, dating from the 16th century and we will return to Zurich. Today’s trip will start with the excursion to Mt. Titlis via Lucerne & Engelberg the mountain monestry village, where you can board a gondola which takes you up you to the Trubsee. Next gondola ride will carry you to the first revolving Titlis Rotair Cablecar to the Mount Titlis cliff walk, a spectacular suspension bridge. On the way back in Lucerne, enjoy the experience on Panorama Yacht “SAPHIR”. During a one hour cruise, sit back and make yourself comfortable on the custom-designed deck furniture, while the ship gently glides over the waters. Next day we will head to Interlaken where you can precede an excursion to Mt. Schilthorn, this is the place where you can enjoy the breathtaking view of Bernese Oberland and the wilderness of the hill. Next you can get the lovely experience by walking through the panoramic spa resort Murren then visit the Trummelbacj glacier waterfalls. Next take an excursion to Jungfrau. Their railway takes you up to the Jungfraujoch which is the highest railway station in Europe along with the breathtaking view of the Aletsch glacier, the largest glacier in the Alps. To make the trip Montreux trip memorable let’s take the ride to Zweisimmen. Montreux located on the shore of Lake Geneva, where you can spend time along with the alpine forests, bubbling mountain springs and mountain villages. 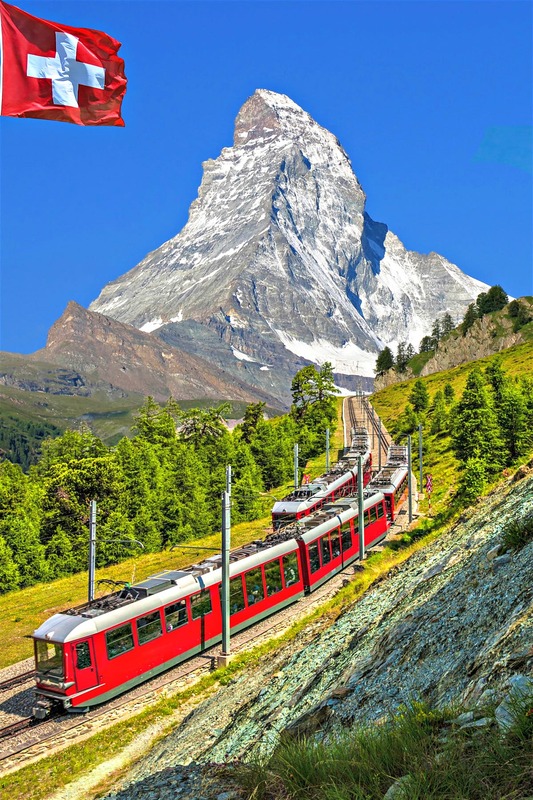 Board the train to Zermatt, the marvelous airplane resort present at the foot of Majestic Matterhorn. Next let’s board the Glacier express to enjoy the greatest rail journeys in the world. It will take you to nearly 291 bridges, through 91 tunnels and then you can reach St. Mortiz. Today let’s visit UNESCO world heritage route and can travel to Lucerne where visit the Gotthard Base Tunnel, one of the longest train tunnels in the world. Then let’s return to Swiss airport to take off. Phone: 91-9871319738, Landline number: +91-0120-4154760.